Do you want to get your home organized but don’t have the budget for expensive shelving and organizational products? With a little creativity, you can create your own custom organization system that will reduce the clutter and save you time when you clean your home. These organizational tips are frugal, and best of all, you can customize them for your home. 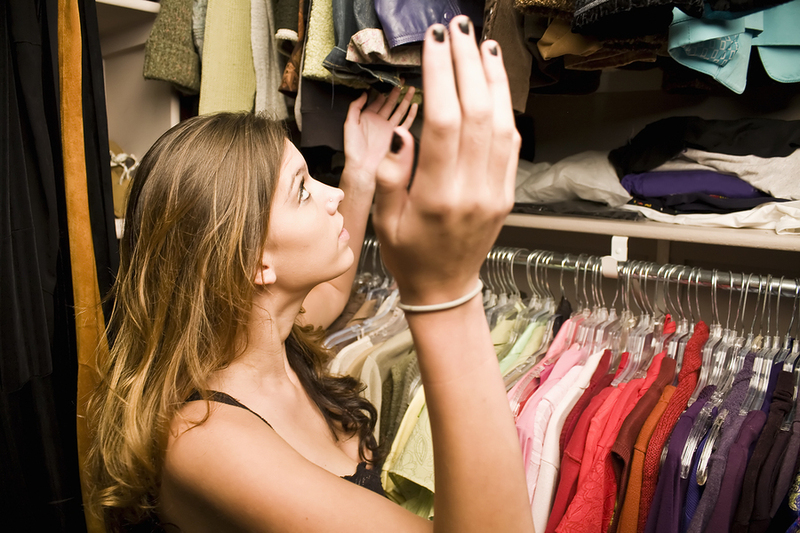 Most people do not use all the available space in their closets, but if you are creative, you can store a lot more in the same space. Place hooks on the wall above the clothes rod and along the sides of the closet to hang things like purses, bags and hats. Use a hanging shoe organizer behind your door to store shoes and other small items like scarves, jewelry and hair accessories. You can store blankets, clothing and paperwork under a bed. In children’s rooms, store bins of toys under the bed. Look for clear plastic organizer bins made for under the bed storage at a home improvement store, but be sure to measure your bed height before you buy. Don’t have room to add more shelves on the wall? Hang them above windows and doorways. Look for a shelf with a curtain rod under it to hang over a window. These are especially great for children’s rooms because they are often short on wall space. Before you throw away something, ask yourself if you could reuse it. Use a silverware organizer to store makeup or toothbrushes in your bathroom. Unused shelf dividers can be used in the bedroom closet to keep sweaters and blankets in place. Add a towel rack to your closet to hang belts and scarves. If your cabinets don’t reach the ceiling, you can use the space to store items. Store extra vases or dishes in a collection above your cabinets, which serves as decoration as well as storage. Keep seldom used smaller items in flat containers to store above your cabinets so no one can see them from the ground. These organizational tips will help you reduce clutter, save you time and help your home look great every day!